Colin Cloud in "The Illusionists—Magic of the Holidays"
Cirque du Soleil Entertainment Group has announced the acquisition of The Works Entertainment, the creative and production company known for The Illusionists, the theatrical magic show that has appeared for four engagements on Broadway. "Magic, a genre that The Works has successfully mastered through their hugely successful Illusionists franchise, has been performed for centuries and continues to enjoy a steadfast popularity among audiences worldwide," said Daniel Lamarre, president and CEO of Cirque du Soleil Entertainment Group. "I'm honored to have their creative minds and theatrical expertise join our ranks." 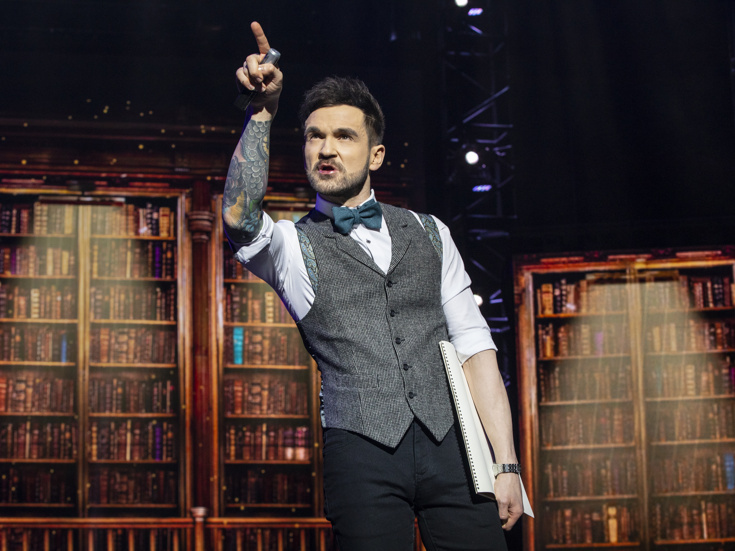 The Illusionists is a production featuring a rotating cast of magicians who each specialize in specific branches of magic from stage illusions to mind reading to escapology and comedic magic. The production played holiday stops on Broadway in 2014, 2015, 2016 and 2018. Cirque du Soleil is no stranger to Broadway, with the original musical Cirque du Soleil Paramour having made its world premiere at the Lyric Theatre in 2016. Look back at The Illusionists and Cirque du Soleil's Broadway appearances below.